Morton's of Chicago, dates back to 1978, and has been expanding throughout the States and the world ever since. The Morton's of Chicago - The Steakhouse, in Hong Kong, is located along the Victoria Harbour, nestled inside The Sheraton Hotel. 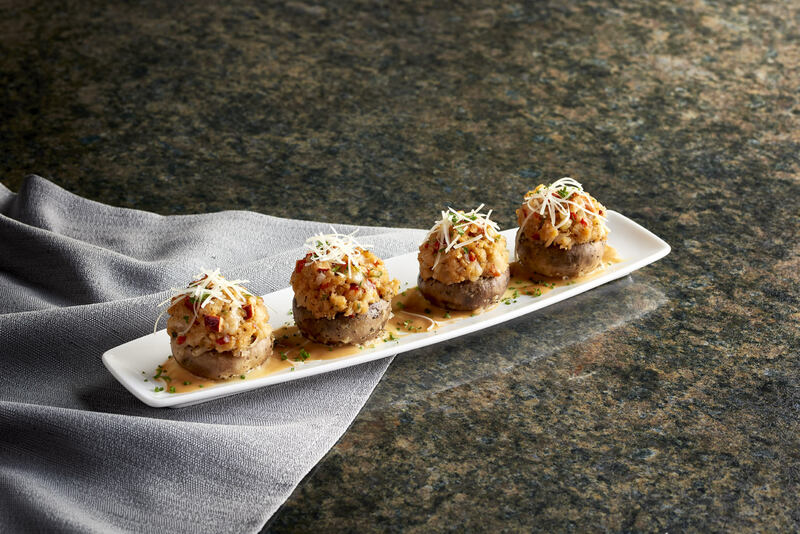 Building on an already outstanding classic menu of signature steaks and seafood comes a few new additions for the fall titled "Prime Selections". 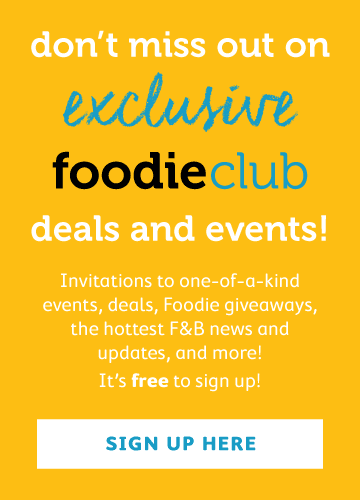 Available for a limited time, Morton's of Chicago has added six new dishes (including starters, mains, and desserts) that left our bellies full and satisfied. 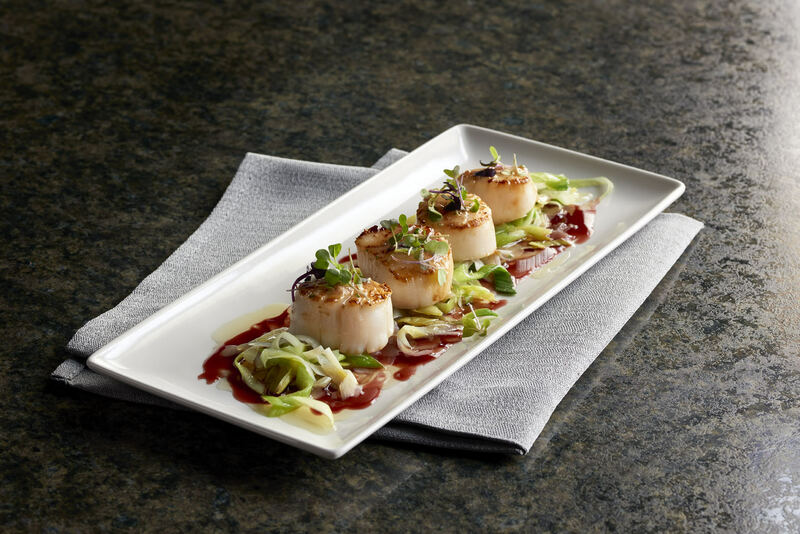 For the mains, Morton's of Chicago has introduced a meat dish, as well as a seafood dish. 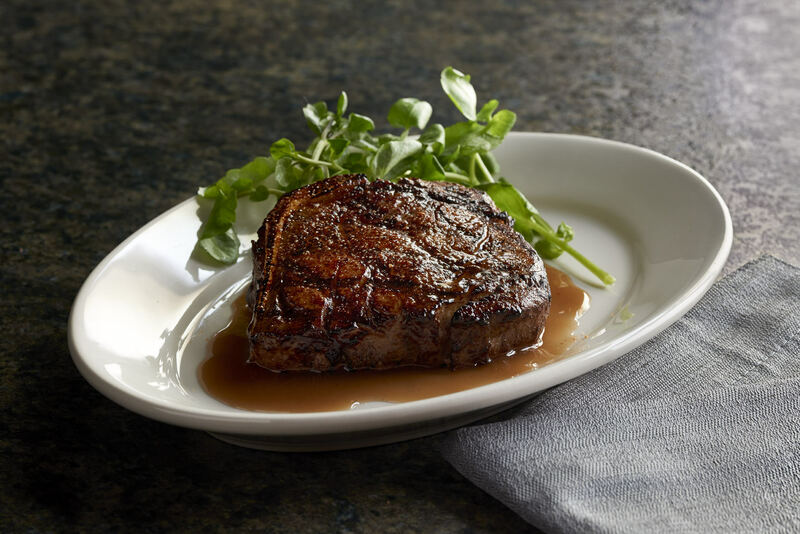 The very impressive Bone-in Filet Mignon ($748) will not disappoint meat lovers with its 14 ounces of double cut filet broiled to order. This was quite possibly one of the best steaks we've come across in Hong Kong. The Seared Sea Scallops Rossini ($325) came out seared and served atop black truffle leeks with foie gras butter, creating yet another aromatic mix to the menu. 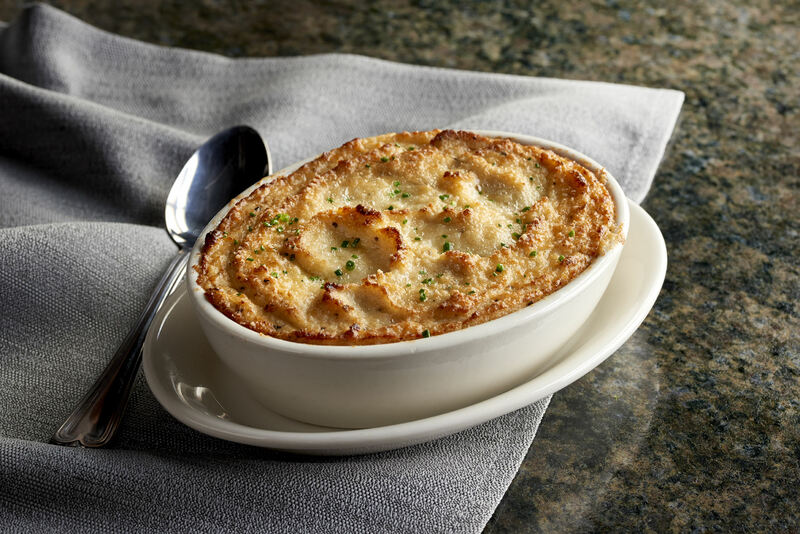 Since it would be unthinkable to order mains without the addition of sides, Morton's of Chicago introduced two new side dishes. We first tried the Mashed Black Truffle Cauliflower ($105) consisting simply of a creamy cauliflower puree with black truffles and parmesan cheese. Though this side was nice, we much preferred (and by preferred, we really mean loved) the Nueske’s Bacon Steaks ($180 HKD). 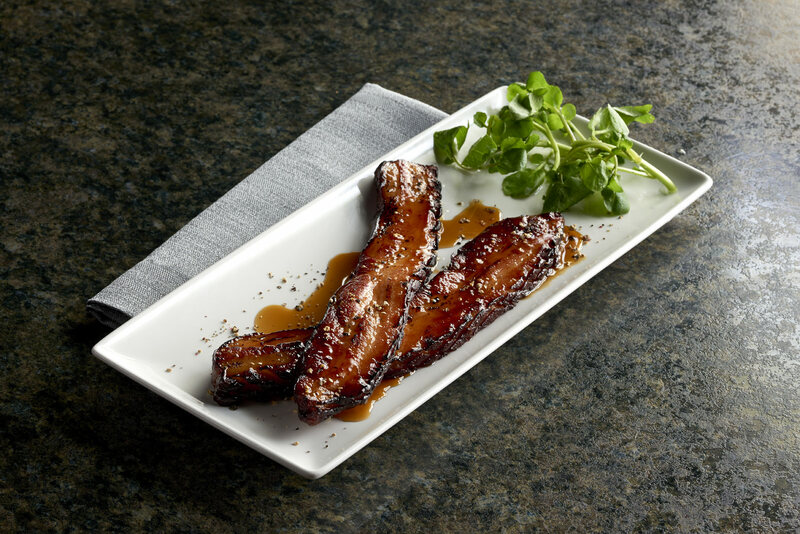 We marveled at the 12 ounces of thick cut slab bacon that was slowly roasted and cooked until it's golden brown. Then, the pieces were finished in the broiler with a honey-bourbon glaze. You really can't ask for a better side dish than this. Since no meal is complete without dessert, Morton's of Chicago clearly thought it best to bring out the big guns with this oh-so beautiful White Chocolate Bread Pudding ($110 HKD). 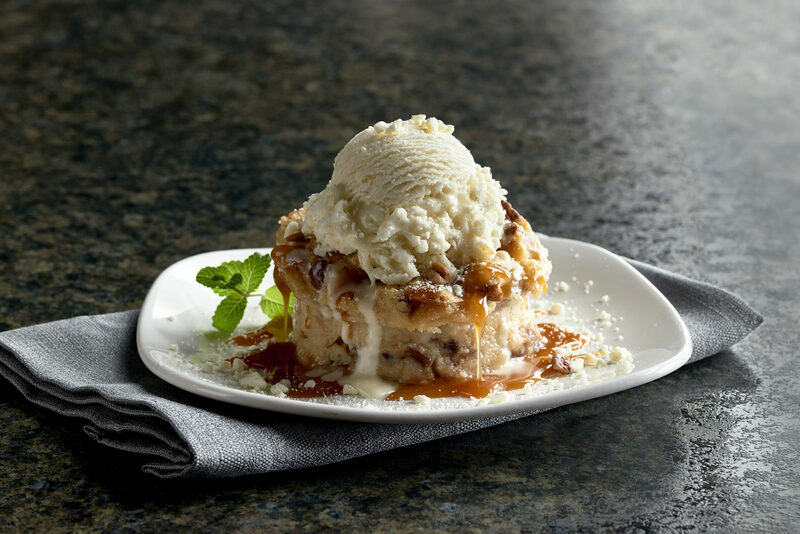 This homemade bread pudding made with white chocolate chips and pecans is served atop bourbon caramel sauce, vanilla ice cream, and white chocolate confetti. We kid you not, this dessert will change your life.